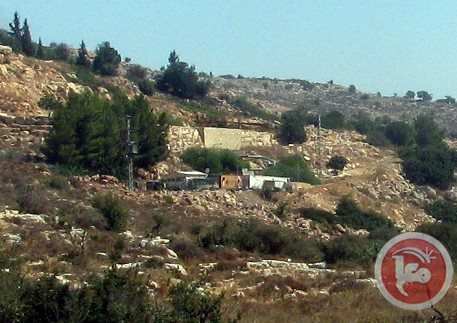 Nine settler homes in the Israeli illegal settlement of Ofra are not seen as a “priority” by the Israeli goverment to be removed. As there is no master plan of the settlement it is not possible to gain a building permit within, which makes the houses illegal, the Jerusalem Post reported. The houses are build on stolen Palestinian land and even an Israeli NGO have argued that the houses should be demolished as the case is currently in court. The Israeli government has however argued that the buildings were constructed years ago (2008), thus giving them “immunity”. Dozens of settlers on Wednesday morning stormed the courtyards of al-Aqsa Mosque from the Mughrabi Gate under the protection of the Israeli police and Special Forces. Eyewitnesses said that 25 settlers entered al-Aqsa in the form of groups, and performed Talmudic rituals in its courtyards. The police forces arrested, during the settlers’ tour, two Jerusalemite students, the witnesses added. For his part, Dr. Ikrima Sabri, head of the Supreme Islamic Council and preacher of al-Aqsa Mosque, warned of the ongoing attacks by the Jewish "Price Tag" gangs on the religious holy places. The latest of these attacks was a raid on Huda mosque in Baqa al-Gharbiyya village inside the 1948 occupied territories, during which "Price Tag" gangs sprayed anti-Islam graffiti on the Mosque's walls. Dr. Sabri's remarks came during his participation at a religious cultural seminar on Tuesday in Abu Bakr mosque in Baqa al-Gharbiyya village at the invitation of local committees in the town. Children too frightened to sleep or woken by the sounds of rampaging settlers. Molotov cocktails through living room windows. Settlers firing guns, protected by soldiers. Hateful slogans daubed on walls. Settler children throwing rocks. These are some of the daily experiences Palestinian children and parents describe in this new short documentary Living in Fear: In the shadow of Israeli settlements, from Defence for Children International – Palestine Section (DCI-PS). The video focuses on attacks by settlers from Yitzhar, a colony established in 1983 on lands stolen from surrounding villages [PDF] in the northern occupied West Bank. The attacks are frequent and ongoing as the settlers seize more land. 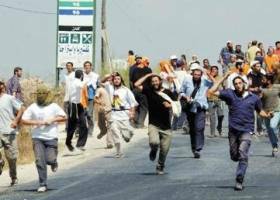 In 2011 alone, UN OCHA recorded 70 attacks by Yizhar settlers, “the largest figure recorded from a single settlement” that year. Why is this happening? “They want us to leave our homes. That’s what they want,” says one mother. The Jewish settlement of Yitzhar is described by The New York Times as “an extremist bastion on the hilltops commanding the Palestinian city of Nablus in the northern West Bank.” Its roughly 1,000 radical Jewish settlers terrorize 20,000 Palestinians from the surrounding villages of Burin, Madama, Asira al-Qibliya, Urif, Einabus and Huwara. 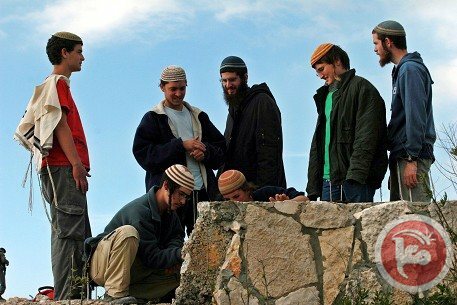 Yitzhar settlers are responsible for hate crimes, termed “price tag” attacks, targeting Palestinians in retaliation for actions, including those initiated by the Israeli government, against Jewish settlements in the West Bank. They have also repeatedly attacked the US-funded water project in Asira al-Qibliya. Settlements like Yitzhar continue to expand in the West Bank with Israeli government support. There are approximately 650,000 settlers living in over 200 settlements on Palestinian land in the West Bank and East Jerusalem. Settlements have a profound impact on the lives of Palestinians throughout the West Bank, including East Jerusalem. Apart from the loss of land taken for the settlements and their related infrastructure, settler violence, such as beatings, shootings and destruction of property are a common occurrence in the lives of Palestinians, including children. The Israeli authorities have consistently failed to prevent settler attacks against Palestinians and to take adequate law enforcement measures against settlers who commit these crimes. Israeli soldiers often turn a blind eye and fail to intervene in confrontations. DCI-Palestine has also documented cases where soldiers actively participate in civilian attacks by settlers. Produced by DCI-Palestine - Edited and Directed by Dima Abu Ghoush - Production Management by Collage Production. Israeli Supreme Court of Justice panel asked Palestinians farmers from the West Bank village of Yatta to withdraw a petition against Israeli settlers who siezed their lands, Haaretz reported. The Israel Prosecutor's Office admitted that the Palestinians proved their legal attachment to the land and advised them to pursue the matter by civil legal action. He explained that the Supreme Court panel's request that they withdraw the petition indicates that it agrees. Incidents of settlers seizing control of Palestinian land are increased in the recent years. Three Israeli judges considered on last Wednesday the petition of the Hushiya family of Yatta. The petition concerns 300 dunoms between the illegal settlement of Susya and the unauthorized outpost of Mitzpe Yair, and another 900 dunams of pasture. The petition is that the settlers launched violent attacks on family members , preventing them from getting to their agricultural land and using the pasture of the their herds. 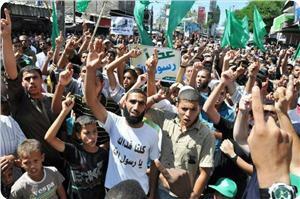 The petitioners demanded that the" authorities " guarantee their freedom of movement and evacuate the settlers. Israeli Attorney Amir Fisher, who represented the Susya settlement argued on their behalf that the lot was purchased in 1991 by Yair Har Sinai , but the attorney did not present any documents to back this claim. Jewish settlers broke into the Aqsa Mosque in occupied Jerusalem via the Maghareba gate on Sunday morning. Local sources said that the settlers enter the Aqsa in small groups with each one having a rabbi to explain to them the history of the alleged temple. 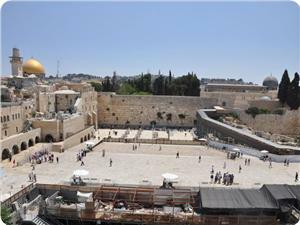 The groups tour various plazas in the holy site amidst tight security measures provided by special police forces. 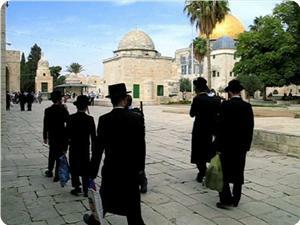 Jewish settlers enter the Aqsa Mosque on daily basis despite the worshipers and vigilantes’ protests. Palestinian medical sources have reported that a Palestinian child has died of severe injuries sustained after being rammed by an Israeli settler’s car, near Al-Eesawiyya town, north of occupied East Jerusalem. The sources said that the child, Amin Al-Faqeer, 13, lives in a Bedouin community in Anata town, and was riding a donkey when the incident took place. 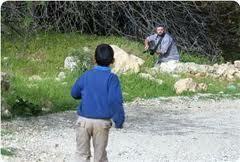 Eyewitnesses said that the settler deliberately rammed the child, and fled the scene, Radio Bethlehem 2000 has reported. The child was initially moved to Hadassah Hospital, in Jerusalem, and was admitted to the Intensive Care Unit, but died of his wounds later on. His uncle, Khalil Sweilim, told Ma'an News Agency that the family could not get any information about the incident, and were informed later, on Saturday evening, that the child died of his wounds. The family refused to perform an autopsy, and said that the body of Amin will be handed over to them on Sunday, for prayers and burial ceremonies. The uncle added that the child rode his donkey as he usually does when he was killed, and that his donkey was badly injured. In related news, Israeli navy ships fired two shells at Palestinian fishing boats docked near the Sudaniyya area, northwest of Gaza City. The shelling caused property damage, but no casualties. On Tuesday, December 10, 2013, Palestinian medical sources reported that twin girls have been injured after being rammed by an Israeli settler’s vehicle on the Al-Walaja road, west of Beit Jala, in the West Bank city of Bethlehem. On Monday, December 9, a young Palestinian man was injured after being rammed by an Israeli military jeep in Nahhalin village, west of Bethlehem. On November 19, 2013, a young woman identified as Zeina Omar Awad, 21, was injured after being rammed by a settler’s vehicle at the main entrance of Beit Ummar. She suffered cuts and bruises, while the settler fled the scene. On the same day, a Palestinian woman was injured after being rammed by the speeding vehicle of an Israeli settler, near the northern West Bank city of Nablus. On October 22, resident Abdul-Hafith Tayyem, 76, died of serious injuries sustained after being hit by a settler’s vehicle in Al-Fondoq town, near the northern West Bank city of Qalqilia. The incident took place on October 16, 2013. On September 29, a Palestinian worker was injured after being rammed by a settler’s vehicle, near Husan town, west of the West Bank city of Bethlehem. On September 20, a Palestinian man was injured in a similar accident caused by an Israeli settler who fled the scene. A week before the incident took place, a Palestinian child was severely injured after being hit by a settler's vehicle as she was walking home from school in Teqoua’ village, near the West Bank city of Bethlehem. The child, Hayat Mohammad Suleiman, 8 years of age, was walking back home from school on the main road that is also used by Israeli settlers living in illegal settlements in the area. A Palestinian child succumbed to his wounds after he was run over by a Jewish fanatic settler north of occupied Jerusalem on Saturday, local sources said. They said that the 14-year-old child, Amin Al-Faqir, was seriously injured in the incident and died shortly after arrival in Hadassah hospital where he was admitted to intensive care. The sources said that the child was riding a donkey on his way home in Enata when the settler rammed into him near Issawiye village. A state of extreme indignation and anger has prevailed among the Palestinians all over the 1948 occupied lands after fans of the Israeli soccer team Beitar Jerusalem burned a copy of the holy Qur'an book and insulted Prophet Muhammad during a Wednesday match. The incident took place at the end of a match between the soccer teams Beitar Jerusalem and Bnei Sakhnin at the Doha stadium in the city of Sakhnin. 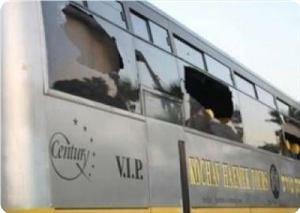 The Israeli fans also vandalized the interior of an Arab-owned bus they were aboard on their way back to their homes. Director of the Aqsa Mosque Sheikh Najeh Bakirat strongly denounced the incident and said that "the Israeli violations against the Muslim religious symbols have gone beyond all red lines." In turn, the Israeli police said that three fans in their twenties had been briefly detained over the incident. Arab Knesset member Taleb Abu Arrar also condemned the incident and said that hurting the feelings of the Muslims and provoking their hatred and anger through insulting their prophet and holy book are against the public code of behavior and the religious and cultural values of all nations. Awqaf and Religious Affairs Minister Ismail Radwan denounced tearing the Holy Quran by fans of an Israeli football team in Jerusalem. 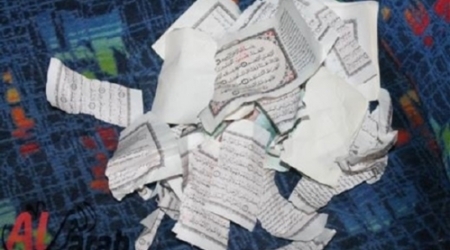 Some activists in the pre 48-Palestine said that the torn pages of the Holy Quran were collected by a group of Palestinian youth. By this immoral and illegal act, Radwan confirmed that the Israeli occupation does not respect other religions, pointing out that this crime is unprecedented and unacceptable. He warned of the consequences of this step, stressing the need for respecting Islamic principles and religious values, and protecting the rights of all religions and the freedom of worship. He called on all Muslims in the world to support the Holy Quran and prevent anybody from doing the same shameful act. Agricultural lands in Jeftlek village in Jordan Valley were swamped from water that leaked from a neighboring Israeli settlement established on Palestinian lands. A pond exploded in the Israeli settlement on Monday, which led to the flow of water toward Jeftlek village, flooding more than 100 agricultural acres. The agricultural crops were completely submerged and damaged while the Israeli settlers did not care less about what happened. Dozens of greenhouses in the village were also damaged as a result of the storm weather that hit the area. A 19 year old was accidentally shot and killed by his cousin when both were trying to fight off wild pigs released by Israeli colonists. A group of young Palestinians attempted to defend their village against a herd of wild pigs released by Israeli colonists during the snowstorm that first hit Palestine last Tuesday, Gulf News report. Locals in the village of Kafr Al Deek told Gulf News that Israeli settlers usually use bad weather conditions, during which time Palestinians stay indoors, to release wild pigs into the Palestinian neighbourhoods to ensure maximum damage to the local farms. 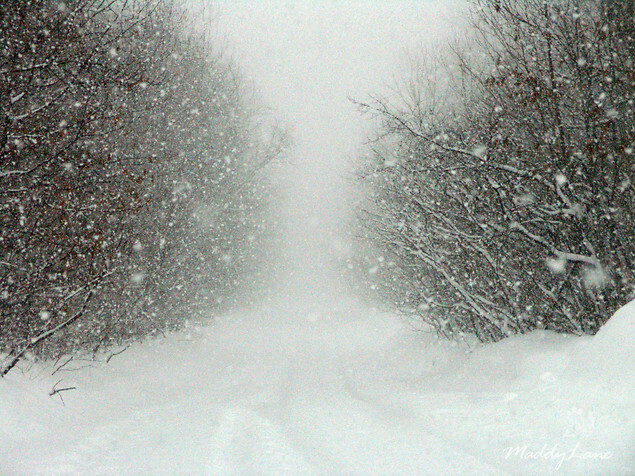 Due to the weather conditions the youngsters did not have clear vision while trying to fend off the animals and this resulted in the tragic killing of the nineteen year old. Eyewitnesses have reported that a young Palestinian man was moderately hurt after being stabbed by an Israeli extremist in Jaffa Road, in West Jerusalem, the Milad News Agency has reported. 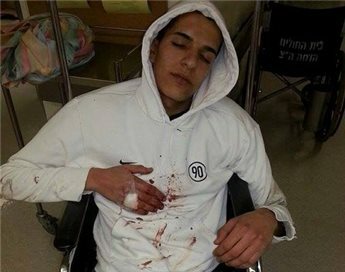 The sources stated that Mohammad Marwan, 20 years of age, was heading back home from work when an Israeli settler stopped him asking for a cigarette, and when the settler made sure the young man was an Arab, he stabbed him. The young Palestinian man, from Ras Al-’Amoud in East Jerusalem, was stabbed in the arm as tried to fend off the attack when he noticed the knife. His family said that after Mohammad was stabbed, around nine more extremists, who were apparently hiding in the area, gathered around him and one of them struck the injured Palestinian on the head with a baton. Mohammad’s cousin, who was buying some groceries at a nearby store, said he noticed one of the settlers placing a knife on his cousin’s neck, and ran towards him while shouting at the settlers who fled the scene. He added that he witnessed an Israeli Police car driving nearby, but the officers did not even stop, and drove off, the Milad Agency said. The injured Palestinian was moved to the Hadassah Israeli Hospital in Jerusalem, suffering an injury to his arm, in addition to bruises to the head and legs. 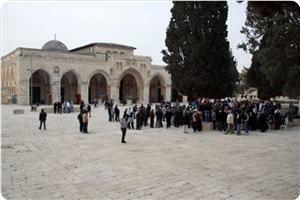 Dozens of Jewish settlers and Israeli soldiers stormed the Aqsa Mosque in occupied Jerusalem on Tuesday morning. Eyewitnesses said that over 100 Israeli male and female conscripts had desecrated the holy site and toured its various plazas while listening to explanations. They said that groups of employees with an Israeli telecommunications company also stormed the Mosque on Tuesday morning. Israeli Occupation Forces (IOF) have tightened military restrictions in Nablus northern West Bank. IOF soldiers closed Hawara checkpoint south of Nablus, detaining Palestinian vehicles and citizens for several hours, eyewitnesses said. The sources added that the IOF also closed the entrance to Burin village and erected a temporary checkpoint. On the other hand, a big number of IOF soldiers in military vehicles and jeeps stormed Beita town, began firing flare bombs, and prevented citizens from leaving their homes and work places, which led to the outbreak of clashes with inhabitants. Israeli media claimed that a Molotov cocktail was tossed at an Israeli bus on Monday evening south of Nablus. No casualties were reported. Following the attack, Israeli forces conducted search operation in the area, while Israeli settlers attacked Palestinian vehicles, the sources added. Meanwhile, IOF stormed Monday afternoon the Ibrahimi Mosque in al-Khalil southern occupied West Bank. About twenty Israeli armed policemen stormed the Ibrahimi Mosque during Zuhur prayers, local sources said. The sources pointed out that a number of settlers positioned themselves on the roof of the mosque this morning. A Palestinian village in northern Israel was targeted by racist graffiti and vandalism on Tuesday morning, according to Israeli media sources. The phrase "Stop assimilation, Arabs get out" was found written in Hebrew on a wall in Akbara village near Safed, according to Ynet. Police also found 10 cars with punctured tires in the village, presumably linked to the graffiti. Police said they would launch an investigation. The vandalism follows a similar attack in Baqa al-Gharbiya, another Palestinian village in northern Israel on Sunday. In that attack, phrases like "Muhammad is a pig" and "terror stones" were sprayed on the side of a mosque. Although the majority of Palestinians were expelled from their homes inside Israel during the 1948 conflict that led to the creation of the State of Israel, some Palestinians managed to remain in their villages and their descendants today make up around 20% of Israel's population. 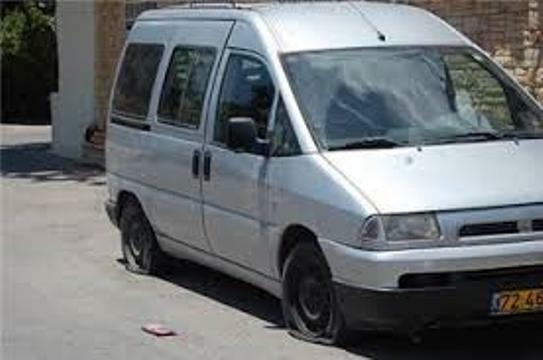 Two Palestinian girls were injured Tuesday morning in a hit-and-run accident on the main road between Beit Jala and al-Walaja west of Bethlehem. 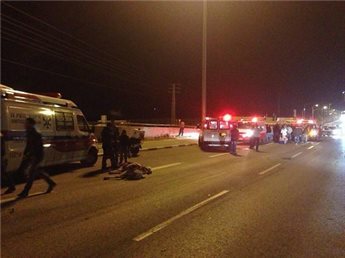 Eyewitnesses told Ma'an that two teenage Palestinian students on the road were hit by an Israeli settler who was driving to Jerusalem. 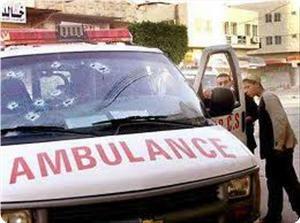 Director of Bethlehem ambulance service Muhammad Awad confirmed that two 17-year-old girls were evacuated in Palestinian ambulances to Bethlehem Arab Society Hospital in Beit Jala after they were hit by an Israeli car. One of the girls had a fractured leg and the other sustained bruises, added Awad. Some Israeli settlers who live in the Gush Etzion and Betar Illit settlements immediately west of Bethlehem choose to travel to Jerusalem through Beit Jala. Dozens of Israeli settlers attacked a park in the Palestinian village of Burqa northwest of Nablus overnight Monday, a Palestinian official said. 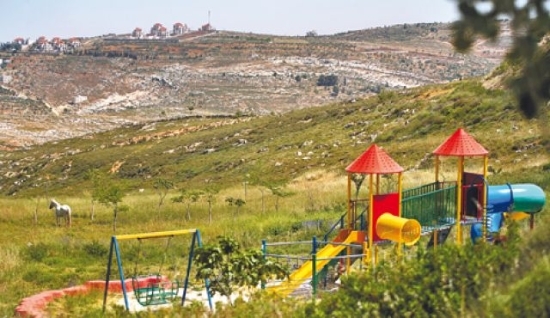 Ghassan Daghlas, a Palestinian Authority official who monitors settler activities in the northern West Bank, told Ma'an that settlers attacked al-Masudiyya park and attempted to pull down a number of structures. The settlers who launched the attack dug out a hole in a small first aid facility located in the park before running away when security guards arrived, Daghlas added. He also highlighted that Israeli forces had delivered a demolition warrant to the owners of the park in mid-November. The demolition order targeted structures donated by World Vision, a local official told Ma'an at the time. Jewish settlers punctured on Monday night, tires of 10 vehicles in the vilage of 'Akbara' in the Upper Galilee in the Palestinian territories occupied in 1948. They also spray-painted racist slogans on the walls of several houses in the village, reading 'Arabs out', and 'Stop the national fusion'. Settlers in illegal settlements in the central West Bank area have started to pump untreated wastewater into the valleys and plains near Palestinian villages in Salfit district, a local researcher said Monday. Khalid Maali told Ma'an that settlers took advantage of stormy weather to pump their sewage which mixed with rain water. Ariel settlement, he said, has pumped untreated wastewater into al-Matwi valley in Salfit district contaminating rainwater which flowed into Palestinian lands. He highlighted that sewage would eventually pollute ground water and springs in the area. 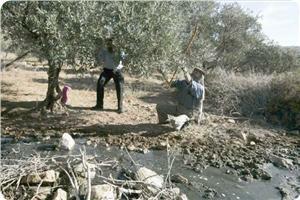 Farmers, he added, "are talking about a river-like flow of water in al-Matwi valley. A Palestinian man was injured Monday afternoon after he was hit by an Israeli vehicle in the village of Nahhalin west of Bethlehem in the southern West Bank. 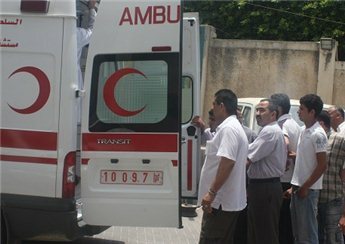 Director of the Bethlehem ambulance and emergency service Muhammad Awad told Ma’an that a Palestinian ambulance evacuated the victim to a Palestinian hospital. He added that the man’s family was preparing to transfer him to an Israeli hospital after medics managed to stabilize his condition. Extremist Israeli settlers attacked dozens of Palestinian cars driving on roads in various areas, in the northern West Bank district of Nablus. Local sources have reported that the settlers caused damage to dozens of cars driving on roads in the district, especially near the Sorra village, the Nablus-Ramallah road, and at a junction close to the Yitzhar illegal Israeli settlement. Furthermore, Israeli soldiers stationed at the Huwwara roadblock south of Nablus, closed the roadblock, and searched dozens of cars, and interrogating the occupants. The army gave no explanation for closing the roadblock, and forced hundreds of cars to line-up for several hours. In related news, dozens of Israeli soldiers invaded, on Monday evening, the Zababda village, south of the northern West Bank city of Jenin, and kidnapped two Palestinians. The Palestinian News & Info Agency (WAFA) has reported that the two have been identified as Anwar Ahmad Kamil, 20, and Wael Ahmad Lahlouh, 20. Both are from Qabatia town, south of Jenin. There is an extremely worrying phenomenon happening in Israel these days. 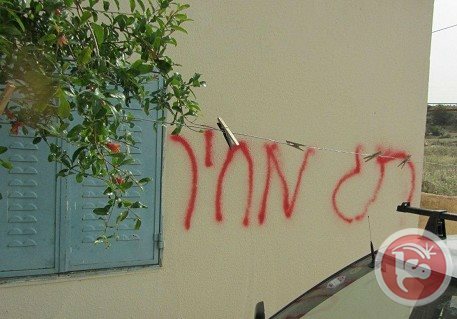 Brashly racist Jewish youths, calling themselves "Paying the Price Gang", attack and vandalize Arab property especially in Arab localities adjacent to Jewish settlements on both sides of the Green Line, the former armistice line along the 1967-ceasefire line. 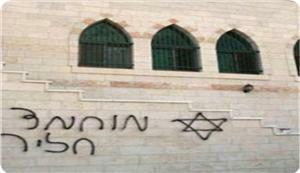 Without the slightest provocation, the terrorists scrawl anti-Arab and anti-Islam graffiti, especially on mosque walls. This week, these racist thugs wrote extremely offensive anti-Islam hate slogans on the main mosque in the town of Baqa al-Gharbiya. Earlier, numerous similar incidents, including torching mosques and puncturing car tires occurred in several Arab towns and villages in both the West Bank and the Green Line. Towns and villages targeted by these Nazi-minded Jews include Baqa al-Gharbiya, Abu Ghoush, Um Qataf, Jenin, Nablus, Ramallah, Salfit, Tulkarem, Hebron and Jerusalem. The shocking regularity of these criminal acts seems to suggest that the Israeli government and security agencies are not really serious about confronting let alone eradicating these Judeo-Nazi cells. In fact, there have been meaningful accusations voiced by Arabs and Jews alike that certain influential elements within the government and security apparatus are effectively colluding and conniving with the terrorists, enabling them to carry out their criminal deeds and escape unpunished. Predictably the Israel government vehemently denies these accusations. However, the fact that not a single perpetrator of these hideous crimes has been apprehended, let alone prosecuted, raises the eyebrows of many honest people, both Arabs and Jews. It is widely believed that these Nazi-minded Jews come from the so-called religious Zionist sector in Israel. We all know that the bulk of Jewish settlers are both politically and ideologically affiliated with religious Zionism. These settlers are well-represented in the Israeli government by an extreme anti-peace party called "Ha'bayt ha-Yehudi" or "The Jewish home." The manifestly racist party adopts an intrinsically racist ideology which views non-Jews as virtual beasts whose lives have no sanctity and who are entitled to no human rights or civil liberties. This is food for thought for some of the sanctimonious liberals in Europe and North America who still think that Israel is a democratic western-style state. The purpose of this article is not really to vilify or demonize Jews. It is rather to sound an alarm bell about things that might come as a result of the rampant proliferation of Nazi ideas among Jews in Israel. In the final analysis, when Jews behave or act or even think like the Nazis behaved, acted or thought, they become Nazis themselves. We all know that the holocaust didn't start with Auschwitz, Treblinka, Mauthausen , and Bergen Belsen. It started with relatively petty transgressions such as writing anti-Jewish graffiti on the walls of synagogues…then "death to the Jews." Then came Kristallnacht. We all know the end of the story. I am not trying to make comparisons. However, the flames of racist hate need only a spark to create a great conflagration. The Pre-disposition is there, the mental readiness is there, the glowing embers are there. Jews, whether in Israel or abroad, must not relate to this matter with the usual holier-than-thou attitudes. False righteousness and defensive reflexes which we have heard ad nauseam won't help. Israel must show a real resolve to end this matter. Rabbis must stop preaching hate in their synagogues. They must stop referring to non-Jews as animals walking on two legs. The Jewish religious heritage is rife with humane principles that can make Jews view others as fellow human beings. Many of us may be aware of the famous Talmudic story about the guy who came to Rabbi Hillel asking him to teach him the entire Torah while standing on one foot. "What is hateful to you don't do to your fellow man," said the Torah sage. "That is the whole of the Torah and the remainder is but commentary." It is not enough for Jews to teach non-Jews about the "beauty" of Judaism by citing impressive passages, like the one aforementioned from the Torah and Talmud. Jews must act on these passages in real life. This is why it is really shocking to see that intellectuals, religious circles and especially politicians in Israel are reacting to this ghoul of hate with the same routine indifference. This is really dangerous. Khalid Amayreh is an American-educated journalist living in Hebron in the West Bank. Maj. Gen. Nitzan Alon, the head of the IOF Central Command, issued an order to seize a West Bank house just 10 days after an Israeli court ruled that it belonged to a Palestinian family, Haaretz daily reported. According to the newspaper, the house, which belonging to Shehadeh family, is located near the Israeli settlement of Ofra and is currently used by Israeli settlers. According to Israeli Army, the house was seized for "security purposes" because it is on Road 60, the main north-south road in the West Bank. Israel paved a settelment road to bypass the city of Ramallah and seperated the house from the rest of the houses of the village of Yabroud in the 1990s. 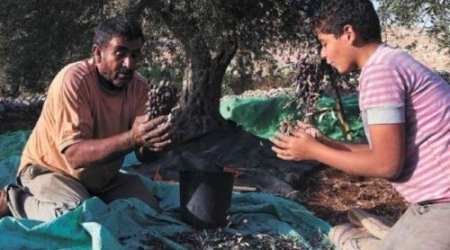 Haaretz added, the Shehadeh family continued living in the house, until settlers changed the locks in 2003, claiming that it had been purchased from its Palestinian owners by Al-Watan, a company controlled by the Amana settlement agency. 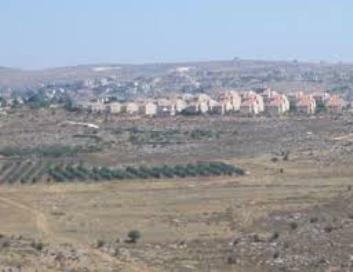 In 2008, Al-Watan petitioned the Israeli District Court to register it as the owner of the land, claiming that family members agreed to sell the land. The petition was rejected in July 2013. Al-Watan decided not to appeal the decision to the Israeli Supreme Court, but it did not evacuate the house. On July 14, ten days after the Israeli District Court handed down its ruling, Alon signed his order seizing the land on which the house stands. The IOF erected a new fence around the house after the old fence was destroyed on the orders of the Israeli High Court of Justice after the Yesh Din organization submitted a petition. Alon's order allows the settlers to remain in house, despite the court's ruling. The Shehadeh family has asked the IOF to cancel the order, but has yet to receive a response. Haaretz quoted attorney Muhammed Dahleh, who represents the family as saying, "The Shehadeh family won after 10 years of legal battles, but it is still unable to reach the 'promised land." "It is extremely hard to understand how the Shehadeh family home was not essential for security purposes between the years 2003 and 2013 (including at the peak of the Second Intifada,) during which the house was controlled by the settlers. The security requirement raised its head immediately after the court determined the settlers' documents, through which they controlled the house, were forged and they had to leave," he added. Jewish “Price Tag” gangs sprayed racist slurs against Islam on the walls of a mosque in Baqa al-Gharbiya village in the 1948 occupied Palestinian land. Local sources said that the offensive writing contained insults against Islamic religion and against Prophet Mohammed, peace be upon him. Sheikh Iskandar Khairi, the Imam of the Huda mosque, denounced the “mean” act, hoping that the culprits would be arrested. A number of extremist Israeli settlers attacked a Palestinian child in the heart if the Old City of Hebron, in the southern part of the occupied West Bank, the Palestinian News & Info Agency (WAFA) has reported. The child’s uncle, Mofeed Sharabaty, said that more than twenty extremist settlers of the Beit Hadassah illegal settlement in the center of Hebron attacked the child as he was heading to a nearby store. The child has been identified as Yazan Zeidan Sharabaty, 13; he suffered cuts and bruises to various parts of his body. The uncle said that he heard the child screaming while the settlers were attacking him and cursing at him. “I rushed and grabbed my nephew and ran away as fast as I could”. The uncle added, “The settlers then tried to break into my house, but we managed to stop them”. The attack is one of hundreds of assaults carried out by extremist settlers against the residents, their lands and property, especially in Hebron city, as the also settlers live in the heart of the city in homes and property illegally occupied and confiscated.